Chun-Lin Liu is an assistant professor in the Department of Electrical Engineering and Graduate Institute of Communication Engineering at National Taiwan University (NTU). He received the B.S. and M.S. degrees in electrical engineering and communication engineering from National Taiwan University, Taipei, Taiwan, in 2010 and 2012, respectively, and the Ph.D degree in electrical engineering from California Institute of Technology, Pasadena, California, in 2018. His research interests are in sparse array signal processing, digital signal processing, and statistical signal processing. 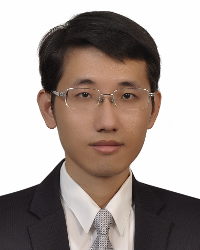 Dr. Liu received Best Student Paper Awards at international conferences including IEEE International Conference on Acoustics, Speech and Signal Processing (ICASSP) in 2016, IEEE Sensor Array and Multichannel Signal Processing Workshop (SAM) in 2016, the 50th Asilomar Conference on Signals, Systems, and Computers (ACSSC) in 2016, and IEEE ICASSP 2018. His Ph.D thesis won the Ben P. C. Chou Doctoral Prize for outstanding doctoral dissertations in the broad area of information science and technology at California Institute of Technology in 2018. (New) I am looking for undergraduate/graduate students interested in signal processing, communication, statistics, or applied mathematics. If my research topics are interesting to you, please e-mail your CV to chunlinliu@ntu.edu.tw, along with some of your research interests. April 2019: New papers entitled ‘‘Robustness of Difference Coarrays of Sparse Arrays to Sensor Failures – Part I: A Theory Motivated by Coarray MUSIC’’ and ‘‘Robustness of Difference Coarrays of Sparse Arrays to Sensor Failures – Part II: Array Geometries’’ was accepted by IEEE Transactions on Signal Processing. February 2019: New paper entitled ‘‘Composite Singer Arrays With Hole-free Coarrays And Enhanced Robustness’’ was accepted by IEEE ICASSP 2019. September 2018: Invited talk at Graduate Institute of Communication Engineering, National Taiwan University. August 2018: Assistant Professor, Department of Electrical Engineering and Graduate Institute of Communication Engineering at National Taiwan University. June 2018: PhD from California Institute of Technology. May 2018: Awarded The Ben P. C. Chou Doctoral Prize, Information Science and Technology, California Institute of Technology. March 2018: New paper entitled ‘‘Comparison of Sparse Arrays From Viewpoint of Coarray Stability and Robustness’’ was submitted to IEEE SAM 2018. January 2018: New paper entitled ‘‘Robustness of Coarrays of Sparse Arrays to Sensor Failures’’ was accepted by IEEE ICASSP 2018. July 2017: New paper on ‘‘Correlation Subspaces: Generalizations and Connection to Difference Coarrays,’’ to appear in IEEE Transactions on Signal Processing. June 2017: Invited talk at 173rd Meeting of the Acoustical Society of America and the 8th Forum Acusticum (Acoustics ’17 Boston). March 2017: New paper on ‘‘Hourglass Arrays, and Other Novel 2D Sparse Arrays with Reduced Mutual Coupling,’’ to appear in IEEE Transactions on Signal Processing. Address: No.1, Sec. 4, Roosevelt Road, Taipei, Taiwan 10617. Page generated 2019-04-16, by jemdoc.